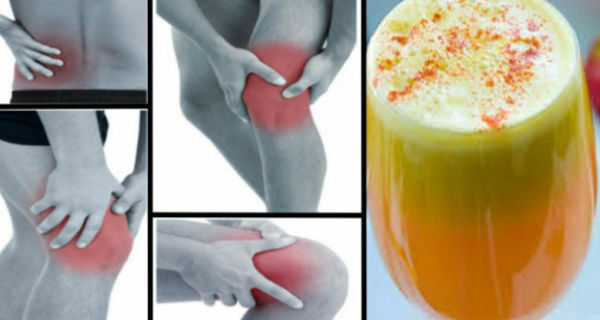 Home » Health » truth » Say Goodbye To Pain In your Joints, Legs, And Lower Back With This Proven Anti – Inflammatory Juice Recipe! Next, clean your pineapple and remove the core. Cut it into chunks. Work all the ingredients in your blender. Always use fresh and organic produce to avoid consuming GMOs, harsh chemicals, pesticides or heavy metals. According to a 2009 study that was published in The Journal of Alternative Complementary Medicine, turmericis super rich in curcumin, an active ingredient that relieves pain and enhances knee function in patients with osteoarthritis. It has the same, and maybe even better effect than ibuprofen. Moreover, turmeric extract has shown to prevent particular joint destruction and severe joint inflammation.